August 29th is the date that Star Wars fans can now circle on their calendars as the date that Galaxy's Edge opens at Disney's Hollywood Studios. 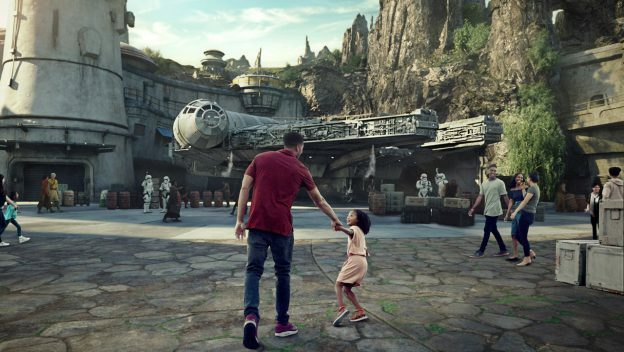 The massive 14 acre expansion to this Disney World theme park is what Star Wars fans have been dreaming about. 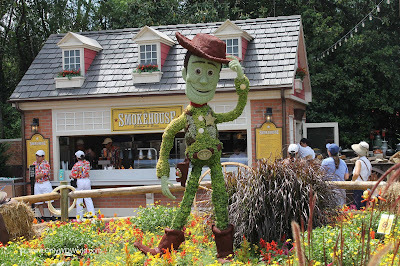 With 2 new signature attractions, immersive theming, characters, and dining this IS what everyone has been waiting for. Those who are thirsty and hungry while visiting this new land may wish to visit: Oga's Cantina,Milk Stand, or Docking Bay 7 Food & Cargo. Those who wish to stock up on supplies may wish to visit: Established merchants such as Zabaka’s Toydarian Toymaker and Jewels of Bith are market mainstays, along with leading apparel vendor Black Spire Outfitters. If you’re looking for something a little harder to come by, try the Creature Stall, where something remarkable is always for sale, including a new shipment of rambunctious Kowakian monkey-lizards cackling close to the stall. Near the market, you’ll also find the popular Dok-Ondar’s Den of Antiquities and Droid Depot, known across the region for their customized droids. Visitors in the know can even construct their own Jedi—or Sith—weapon in the secret confines of Savi’s Workshop – Handbuilt Lightsabers. When Galaxy's Edge opens there will NOT be any FASTPASS+ attractions available. Also there is no guarantee that you will be able to gain access depending upon the crowd level for the day that you visit. The 2019 Epcot International Flower & Garden Festival comes to Disney World starting March 6th and runs through June 3rd, 2019. 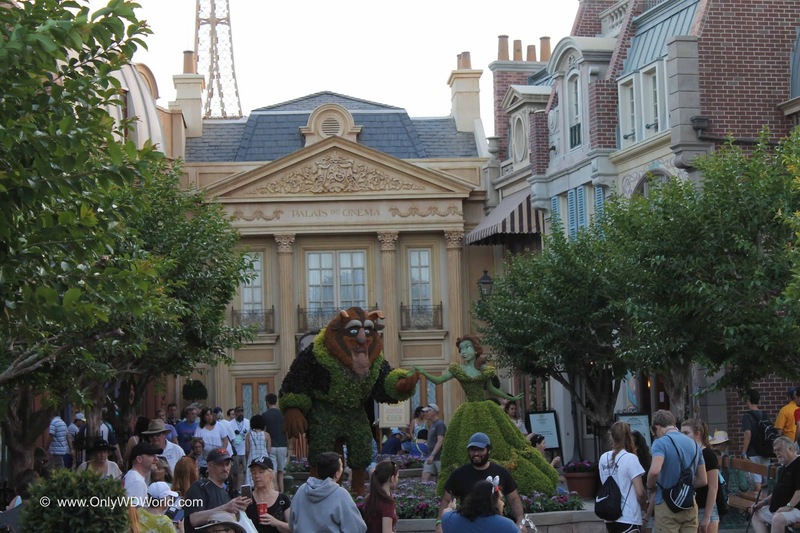 This much anticipated festival combines millions of blooms, Disney character topiaries, carefully crafted gardens, incredible food, and iconic musical entertainers. 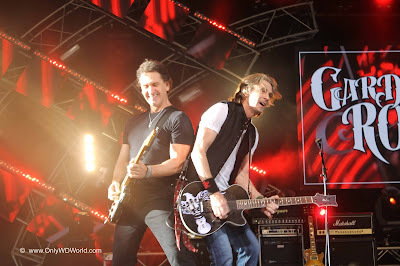 This is definitely not something to be missed. 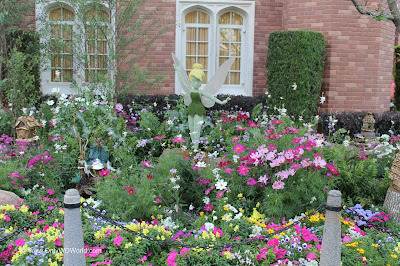 Each Spring Epcot is transformed info an amazing display of color that goes far beyond the usually impressive landscaping. The results are breath-taking and will delight the gardeners and the casual observers alike. Come see your favorite Disney Characters captured in living topiary form all around Epcot! There are 21 different gardens to explore throughout Epcot that were especially created for the Flower & Garden Festival by the Disney horticultural staff. Barrels by the Bay– March 8 to 10, Guests will have the chance to liven up rain barrels using paint and a variety of fun stencils. The barrels are Coke Florida syrup receptacles, recycled to protect community waterways from stormwater runoff pollution. 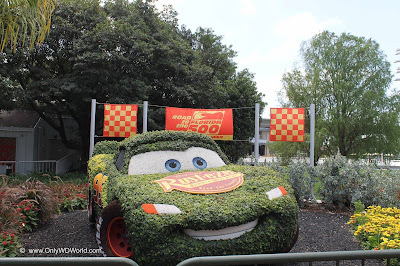 Look for this display adjacent to Fountain of Nations, near Mouse Gear. – Discover the history and art of tea blending at this elegant English Tea Garden at the United Kingdom Pavilion, featuring plants important to some of Twinings finest tea blends. 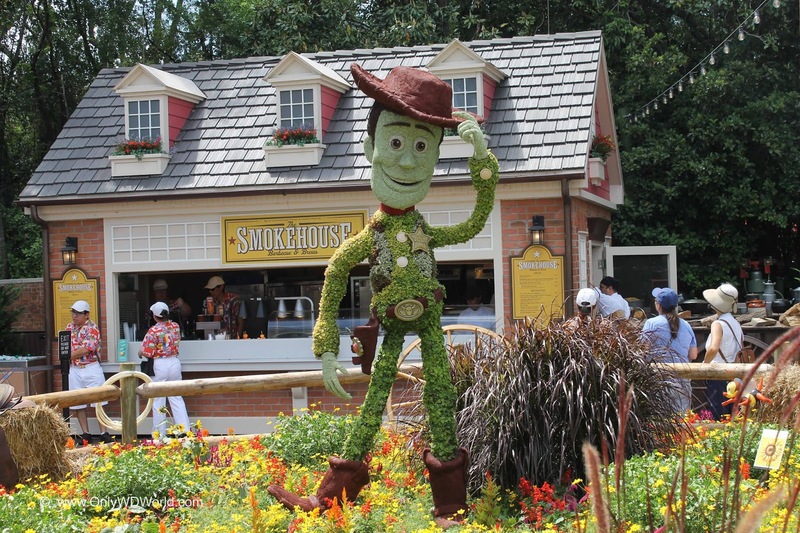 Family Play Zone – Discover engaging, interactive fun for kids and adults alike at this Toy Story 4-themed play area located by the walkway to Test Track. 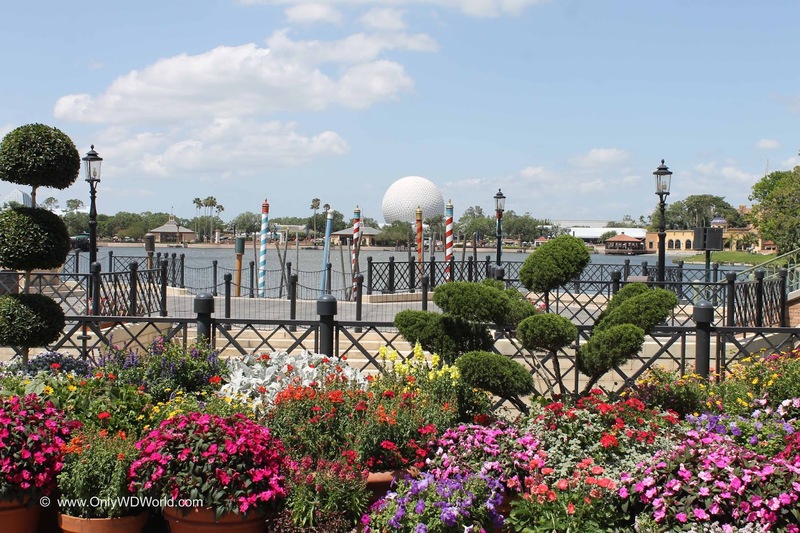 Festival Blooms – Behold colorful, living panoramas composed of thousands of flowers, overlooking the east and west lakes of Future World. Floating Mini-Gardens – Peer upon more than 100 petite plots drifting on the ponds that border the walkway between Future World and the World Showcase. The Goodness Garden Butterfly House Presented by GoGo squeeZ – Visit this foliage-filled exhibit at Future World West to view a kaleidoscope of butterflies and observe several species up close, learning about their life cycles and maybe even witnessing them emerging from chrysalises. The Honey Bee-Stro – Learn about the importance of honeybees in this immersive garden. 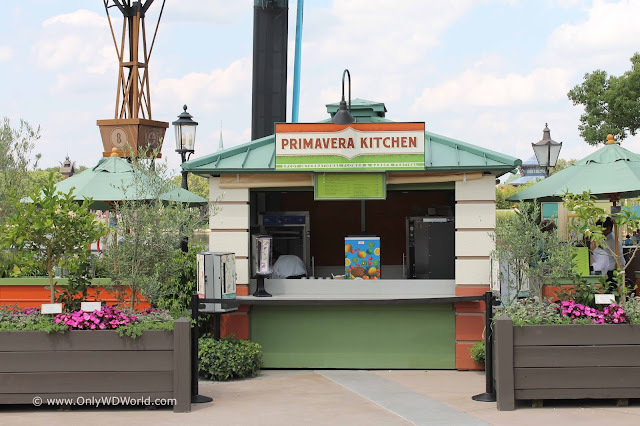 You can also enjoy food options—made possible by their hard work—from the adjoining outdoor kitchen near the Imagination! Pavilion. Kokedama Garden – Admire fresh expressions of an ancient Japanese art at this garden featuring bonsai creations. Penguin Sculpture – NEW! Disneynature presents a newly minted penguin sculpture, created from repurposed trash pulled from our oceans. Find this spirited artwork at Future World West. Plant a Garden Perfect for Pollinators – Stop by this display near the Butterfly House and take garden-ready ideas home with you, along with garden crafts and sustainable best practices. 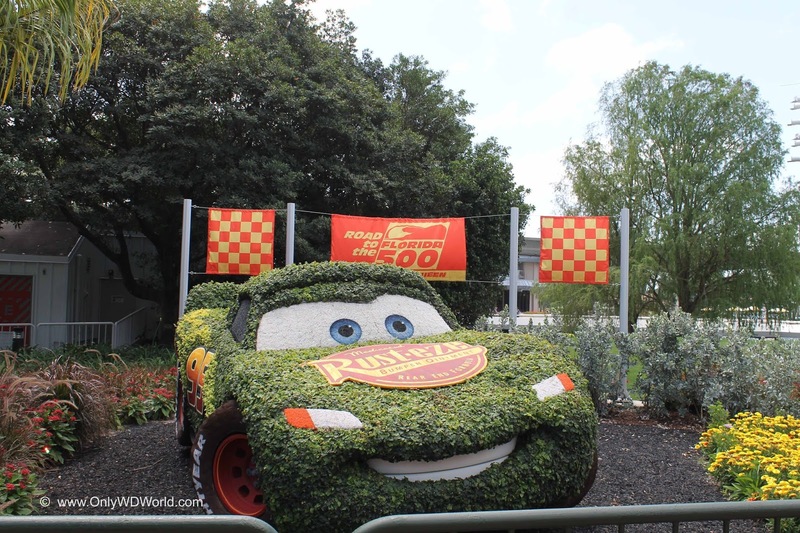 Play Garden – AdventHealth presents an area along Imagination Walkway for kids, made to inspire youthful energy and creativity. Your whole family can learn fun and interactive ways to stay healthy at a brand-new playground and outdoor kitchen. Purple Martin Garden– Spot purple martins as they soar to and from their nests in our purple martin bird houses. These migratory birds flew over 3,000 miles from the Brazilian Amazon to raise their young right here at Epcot! Test your identification skills by finding the brown-and-white females, as well as the iridescent, all-purple males. Disney’s Animal Kingdom Cast Members will be on hand on Tuesdays and Fridays after 11:00 AM to answer questions you may have about these fascinating birds. Tropical Rainforest Garden – Visit the Mexico Pavilion and learn how Mexican rainforests are rich with plants and animals that have adapted to a wide variety of light levels and water conditions. 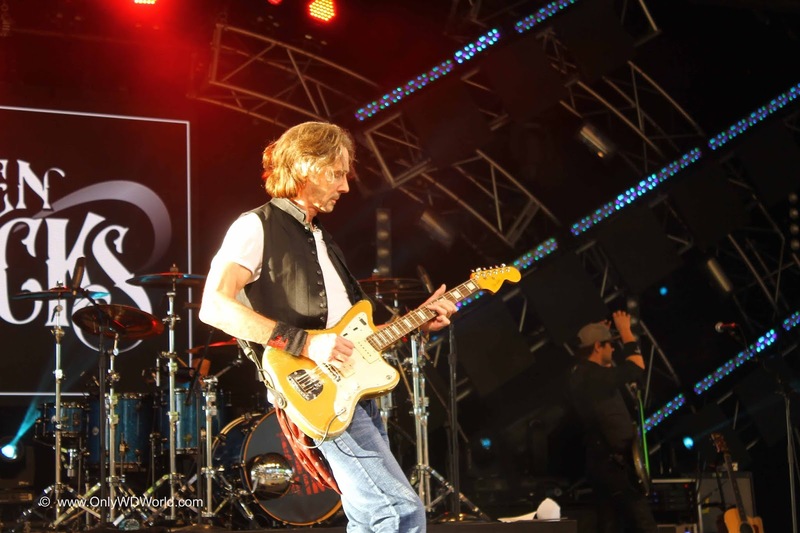 Come see FREE concerts every day of the festival performed by famous acts including 3 that you will find enshrined in the Rock and Roll Hall of Fame. 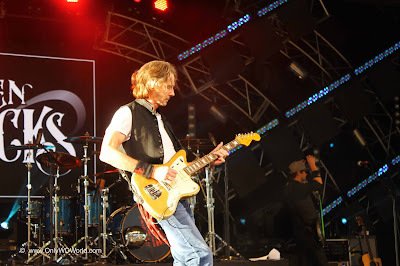 In all there are 33 different acts including: Rick Springfield, Jon Anderson of Yes, Don Felder of the EAGLES, The Guess Who, Air Supply, Richard Marx and much more. Visit the 2019 Epcot Garden Rocks Concert Line-Up and Schedule for more detail. 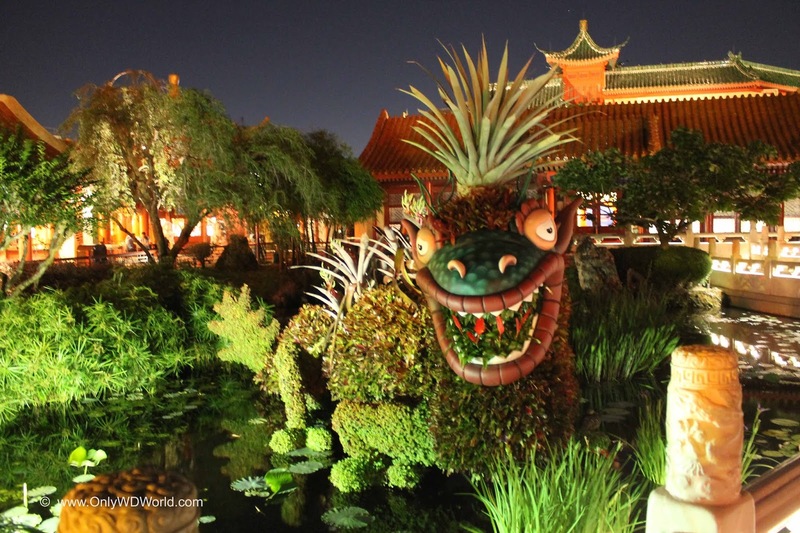 If you love the great food events at Epcot then you must make sure that you attend the Epcot International Flower & Garden Festival. The Outdoor Kitchens, as they are called, contain many tantalizing options that can only be found during the festival. 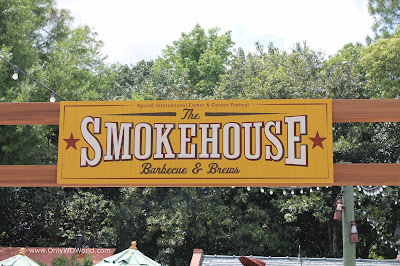 There are 16 different stations located mostly around the World Showcase that include tasting portions of entrees and desserts, as well as, a selection of interesting beers, wines, and specialty cocktails to enjoy. 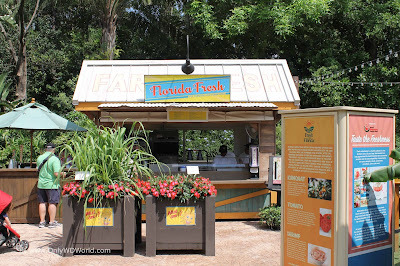 Additionally there are also some special offerings at some of the year round food stops across Epcot. Visit: 2019 Outdoor Kitchens - Full Menus to check out the great food selections that your can taste at this year's festival. 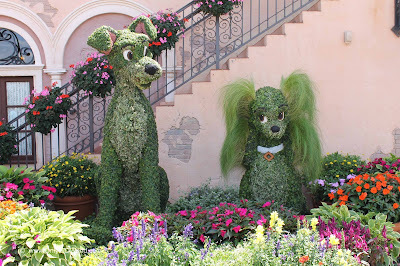 The Epcot International Flower & Garden Festival is not just an event for gardeners anymore. 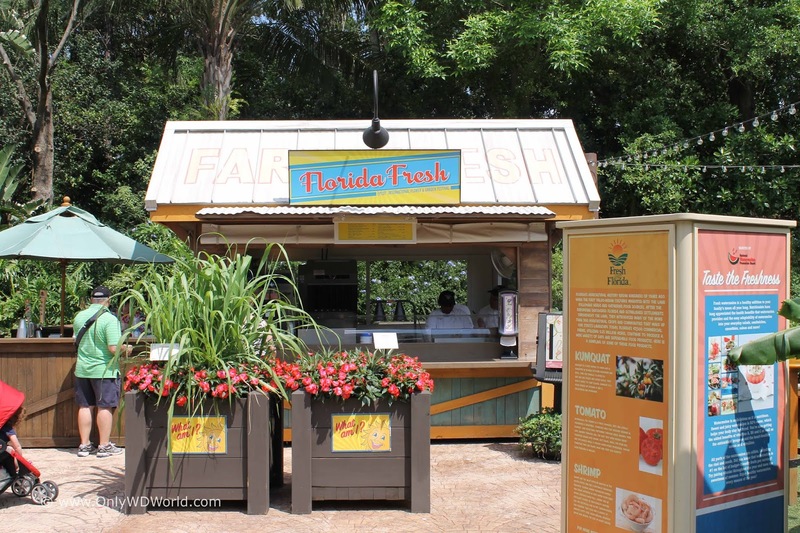 Foodies can rejoice at all of the wonderful options and tastes that this Disney World festival brings this year! 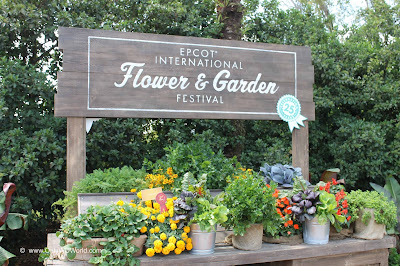 If you love the great food events at Epcot then you must make sure that you attend the Epcot International Flower & Garden Festival which runs from March 6 to June 3, 2019. The Outdoor Kitchens, as they are called, contain many tantalizing options that can only be found during the festival. 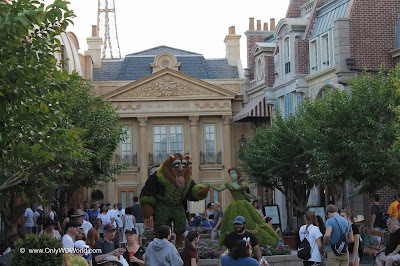 All of these Outdoor Kitchens are open from 11:00am - 9:00pm each day at Epcot during the duration of the festival.